Pastel de Tres Leches or Three milk cake was on my do list for quite some time and I even bought all the ingredients once too… But somehow I was never able to make it …. 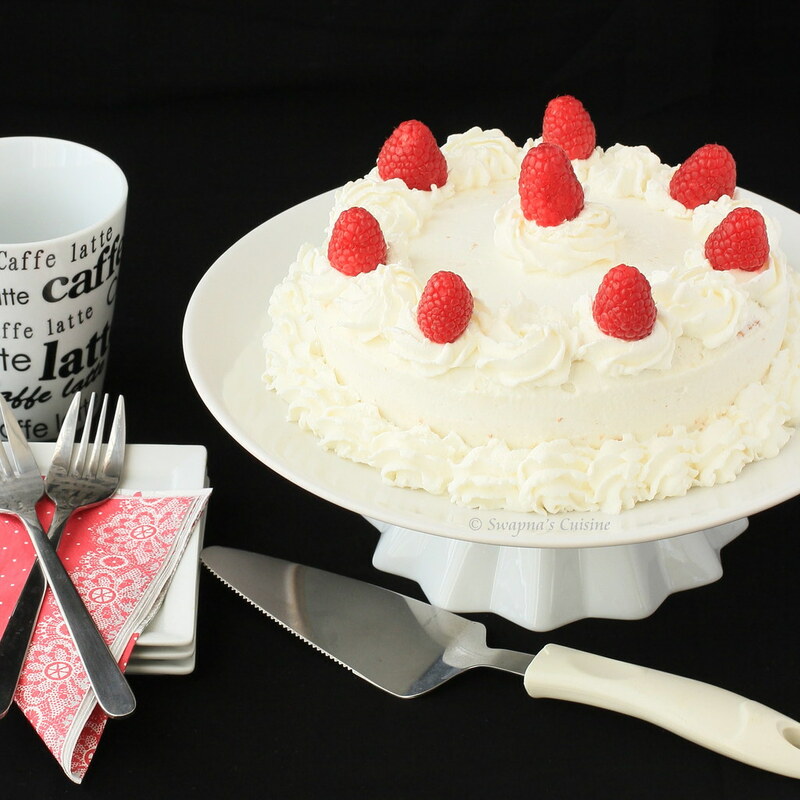 When this month’s Daring Bakers’ challenge was announced I did not want to miss the opportunity to make this cake. I did not add fruits to the cake layers, just decorated the cake with some raspberries. If you want you can add fruits like peaches, mangoes, berries or cherries. I really enjoyed this month’s challenge and will definitely make this cake again! 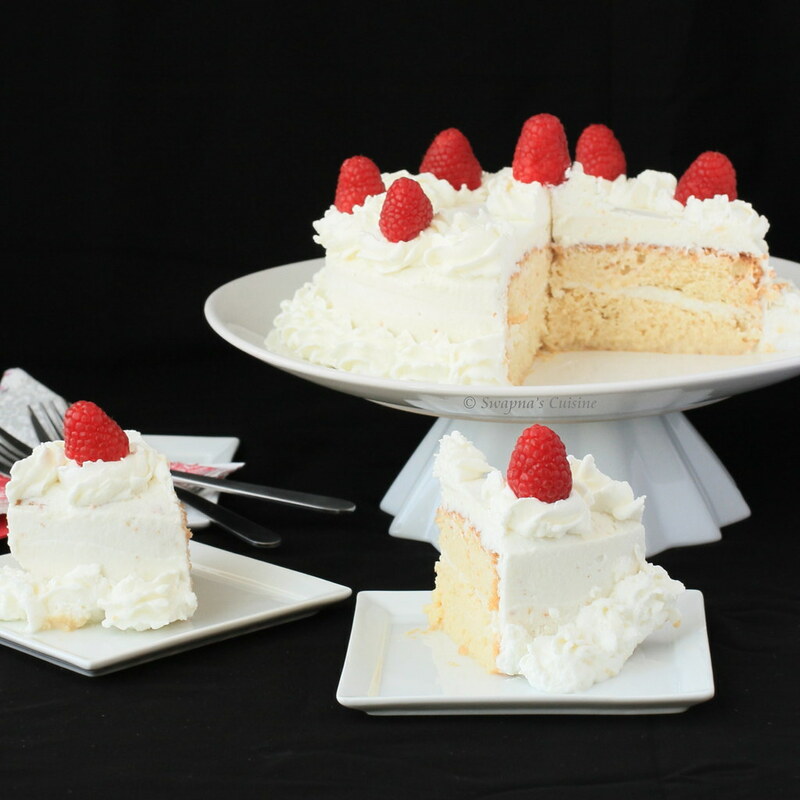 This recipe slightly adapted from an interview given by one of Mexico's best Pastry Chefs; Paulina Abascal to the magazine Revista Secretos de la Pastelería Caserais it produces a super moist yet light Tres Leches. Pastel de Tres Leches– Three-Milk Cake is a super moist, light, airy and super delicious sponge cake soaked in the three kinds of milk (evaporated milk, condensed milk, and heavy cream). 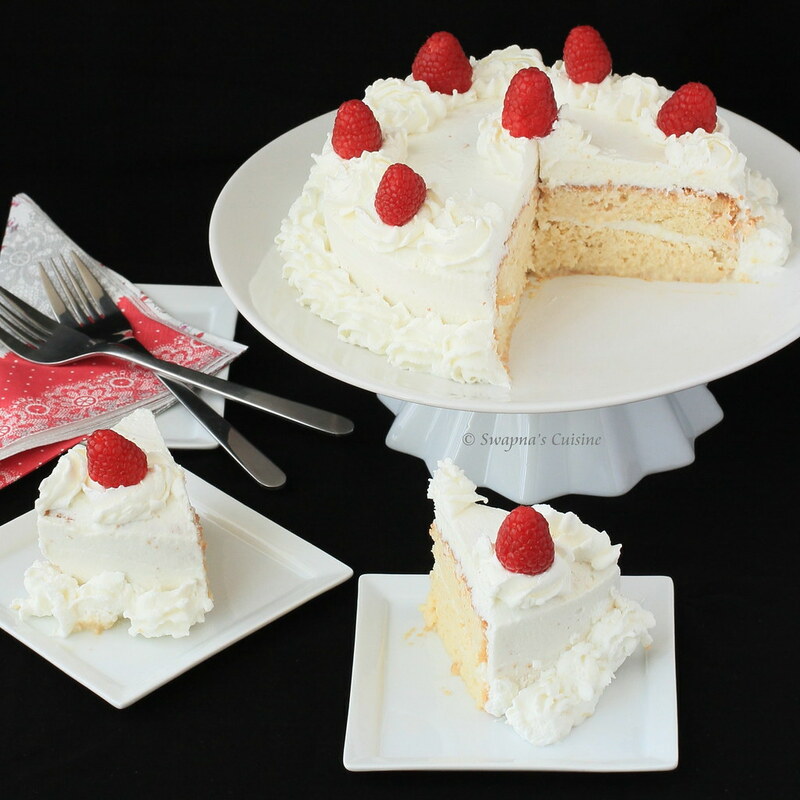 Tres Leches is a very light cake (especially if made without butter), with many air bubbles in its crumb. This distinct texture is why it does not have a soggy consistency, despite being soaked in a mixture of three types of milk. Inma was our Sept. 2013 Daring Bakers’ hostess and WOW did she bring us something decadent and delicious! Pastel de Tres Leches or Three Milk Cake, creamy yet airy, super moist but not soggy.. just plain delish! Preheat oven to moderate 180°C/350°F/gas mark 4. Prepare a square 9”x9” (23cmx23 cm) pan or 9” (23 cm) round cake pan. Pour the egg yolks over the egg whites; gently fold until just combined trying not to lose any volume from the mixture. Bake in the preheated moderate oven for 25 minutes or until the toothpick comes out clean. Once cool, split the cake in half, flip the top of the cake and place it on a base. Poke using a fork holes all over the cake to better absorb the three milk soaking liquid. Once it is cool, add the rum or any other flavoring you are using. Gradually brush all the milk soaking liquid into all sides of the cake (including the cut surfaces) until all absorbed. Best to rest the cake in the fridge overnight to complete the soaking process. Whip the cream, when soft peaks form add the sugar little by little, continue whipping until stiff peaks form about 2 mints. 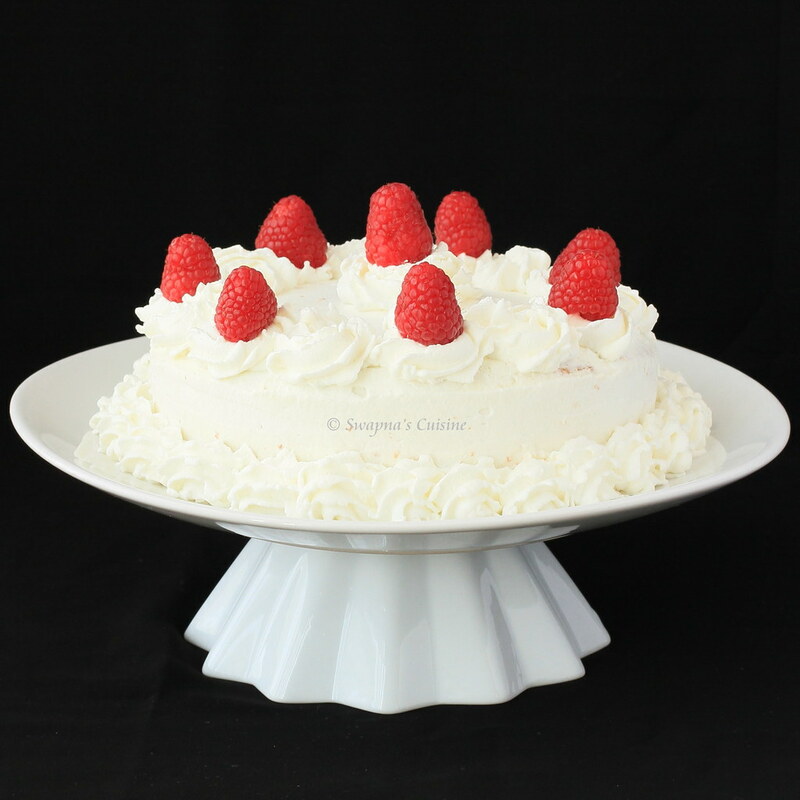 Layer some whipped cream on the bottom layer and cover with canned or fresh fruit and decorate the top layer with whipped cream and the fresh or canned fruit. The topping whipping cream must be very cold. You should not over fold the mixture it will lose volume from the bubbles breaking. Avoid knocking the cake tin when containing batter. Add the flour slowly like rain showers. your pictures are mouth watering!! Dont we need baking powder for the cake? ?